Dubai/London: Budget needs are forcing Saudi Arabia to push for oil prices of at least $70 (Dh257) per barrel this year, industry sources say, even though US shale oil producers could benefit and Riyadh’s share of global crude markets might be further eroded. President Donald Trump’s demands for Opec to help reduce prices while he toughens sanctions on oil producers Iran and Venezuela. 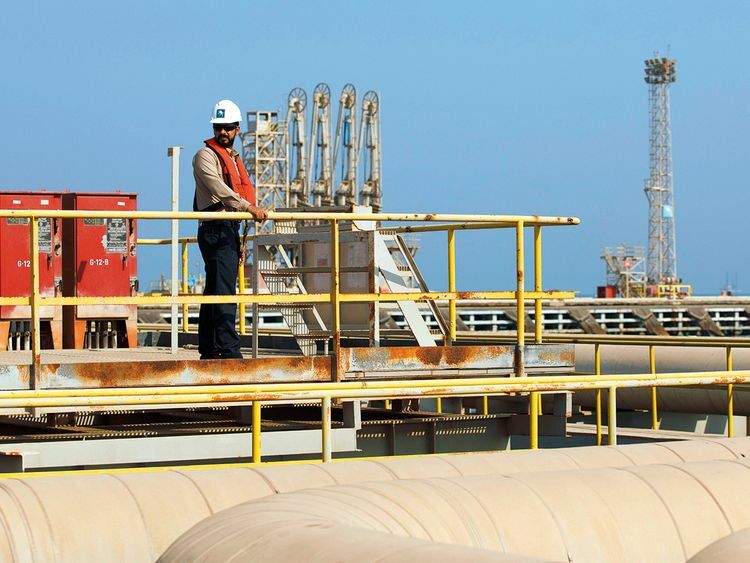 Despite strong demand from customers, Saudi Aramco had cut its allocations for April by 635,000 bpd below nominations. Another source said Saudi Arabia wanted to “put a floor under oil prices” at $70 or slightly lower, and added: “No one at Opec can talk about output increases now.” Officially, Saudi Arabia, which plans to raise government spending to boost economic growth, does not have a price target. It says price levels are determined by the market and that it is merely targeting a balance of global supply and demand. Saudi Energy Minister Khalid Al Falih said such swings were not unusual because last year the kingdom had raised output and exports above targets to avoid imminent shortages. Trump has supported Saudi Crown Prince Mohammad Bin Salman despite a global outcry over the killing of journalist Jamal Khashoggi, a critic of the Saudi government, and has made clear he expects Opec to help lower global oil prices. On Monday, Opec and its allies, led by Russia, scrapped a planned meeting in April and will decide instead whether to extend output cuts in June, once the market has assessed the impact of new US sanctions on Iran due in May over its non-compliance with a deal to curb its nuclear programme.